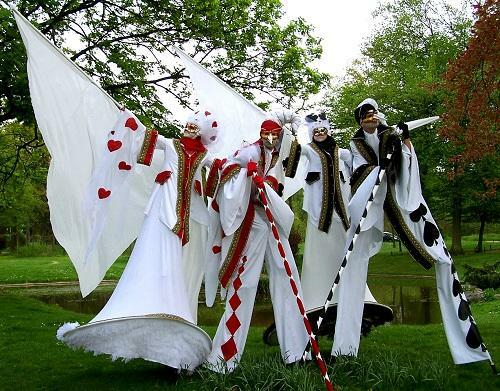 Elegance are a unique group of corporate entertainers whose costumes draw stares at corporate events all over the world. 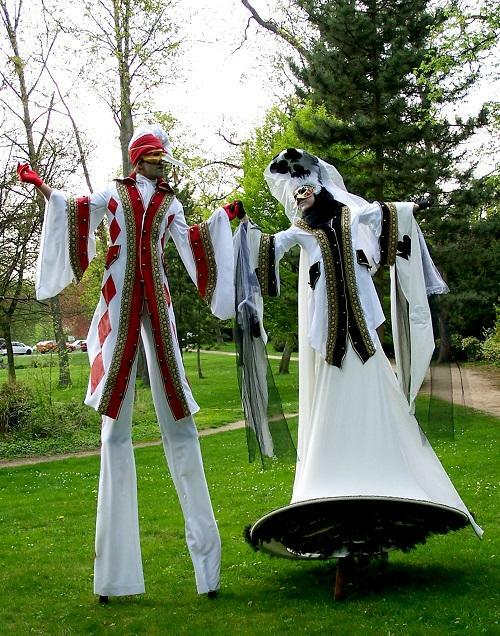 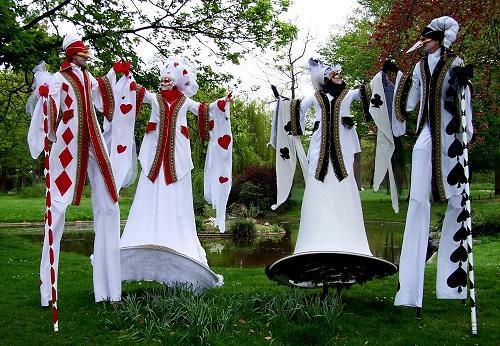 They are ideal for corporate entertainment, Venetian themed events, street parades and festivals. 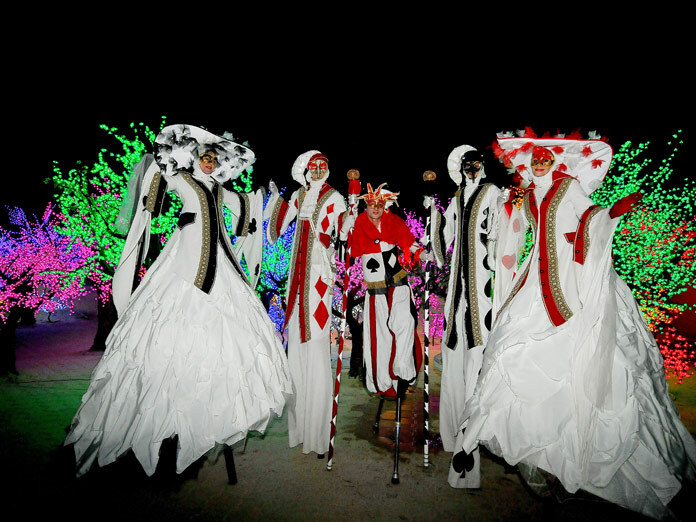 Charming and poetic, they walk with grace as if carried by a breath of fresh Venetian air. 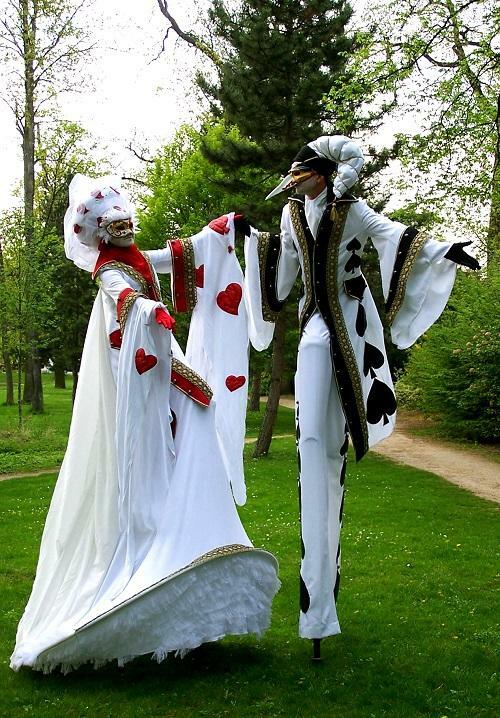 They inspire and surprise, and take us along on a two-step waltz. 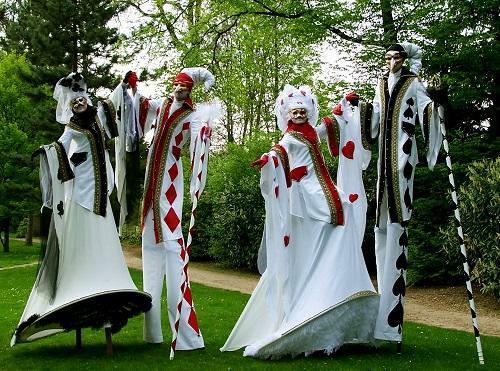 This act includes 5 performers: 4 stilt walkers and 1 joker stilt walker on spring stilts. 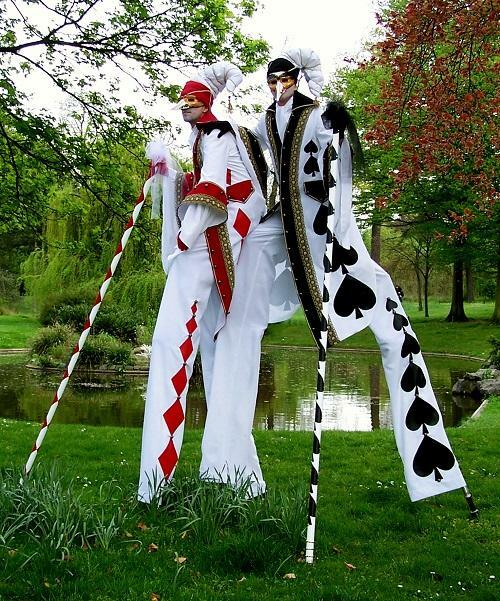 Elegance can perform 1 x 90, 2 x 45 or 3 x 30 minute sets.